This beautiful service was held at a venue so songs were played rather hymns sung. 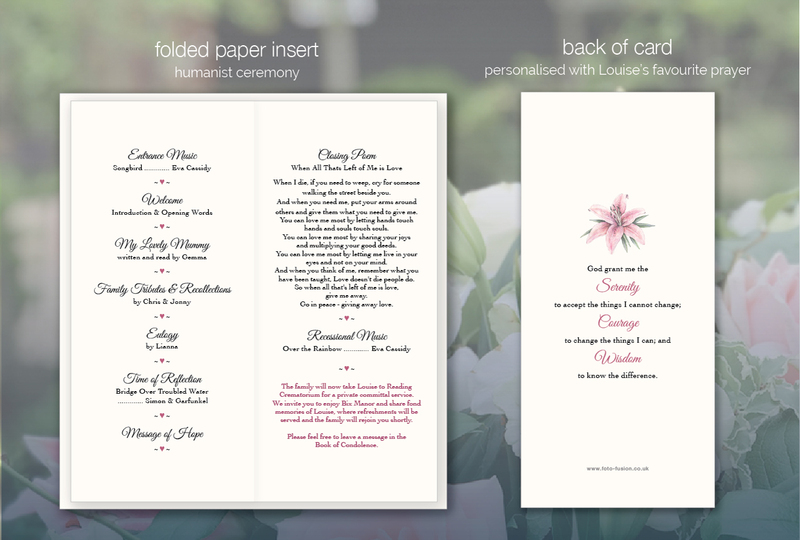 We used pink text where appropriate as that was loved by Lou and worn by all the guests. 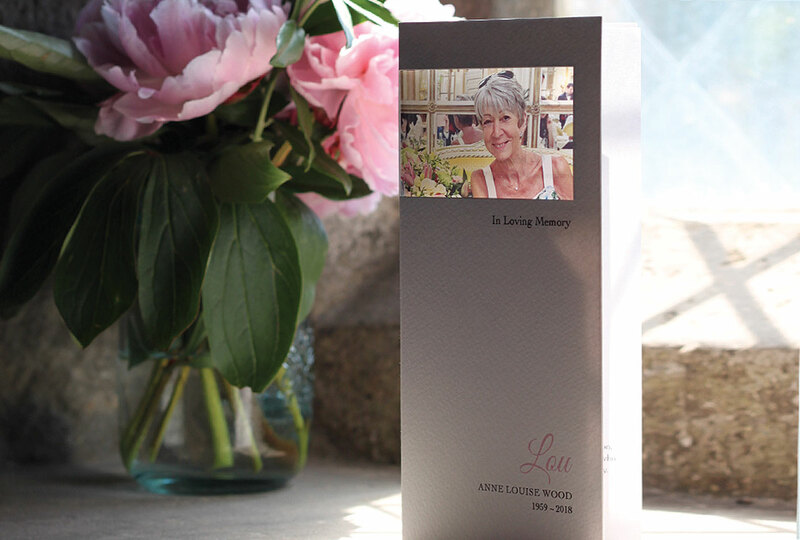 We added her favourite lily on the back of the card along with a memorable prayer. 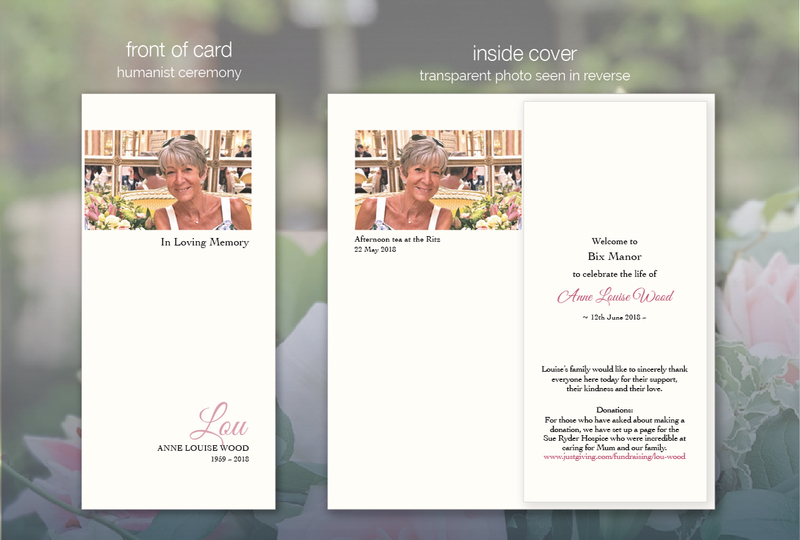 We drafted the design quickly to ensure proofs and print were turned around in time for the ceremony and the result was a truly special card for family and friends to take home and treasure.